Maya and Rebecca Ward are both accomplished physicians, but that’s where the sisters’ similarities end. As teenagers, they witnessed their parents’ murder, but it was Rebecca who saved Maya from becoming another of the gunman’s victims. The tragedy left Maya cautious and timid, settling for a sedate medical practice with her husband, Adam, while Rebecca became the risk taker. After a devastating hurricane hits the coast of North Carolina, Rebecca and Adam urge Maya to join them in the relief effort. To please her husband, Maya finally agrees. She loses herself in the care and transport of victims, but when her helicopter crashes into raging floodwaters, there appears to be no survivors. Forced to accept that Maya is gone, Rebecca and Adam turn to one another first for comfort, then in passion, unaware that, miles from civilization, Maya is injured and trapped with strangers she’s not certain she can trust. Away from the sister who has always been there to save her, now Maya must find the courage to save herself-unaware that the life she knew has changed forever. 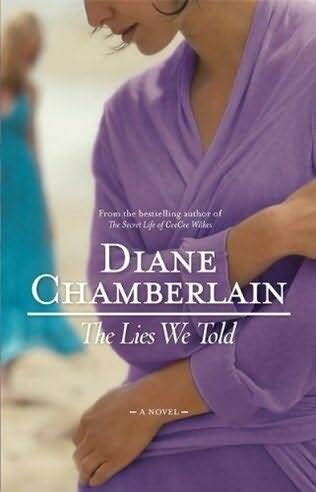 Read Susan’s review of The Lies We Told. Sounds like a great book…would love to read it. Would be interested in reading this. Thanks for the wonderful giveaway. The plot of this book sounds very interesting. I haven’t heard of this book before but it sounds good! I am a blog follower through GFC. I like SS on Facebook.